Geisinger Health System seeks an outstanding behavioral scientist to serve as Research Director for its newly-launched Applied Behavioral Insights @ Geisinger Team. The ABIG Team was created to apply behavioral science methods to the design, implementation, and evaluation of “nudges”—lightweight behavioral interventions intended to improve outcomes and experiences for patients, providers, employees, and other stakeholders of Geisinger Health System. Geisinger is an integrated health system serving more than 3 million residents in Pennsylvania and New Jersey. As a learning health care system, Geisinger incorporates research into all aspects of medicine and healthcare delivery, aided by unparalleled access to electronic health records, insurance data, and other information. The ideal candidate will have experience both in conducting original behavioral science research and in implementing research results within organizations. A Ph.D. or other terminal degree in psychology, economics, decision sciences, marketing, management, or any relevant scholarly discipline is required, as are track records of publishing original empirical research, managing research projects and staff, and applying for research funding. The Research Director will report to Professors Michelle Meyer and Christopher Chabris, the founding Faculty Directors of the ABIG Team. S/he will be based in Danville, Pennsylvania at the main campus and headquarters of Geisinger (although location is negotiable for an exceptional candidate), and will participate in the hiring and supervision of postdoctoral research fellows and other personnel for the Team. Work is typically performed in a clinical/office environment. To apply: Please send a cover letter, C.V. or resume, and two representative scholarly publications in a single email to ABIGResearchDirector@gmail.com. Please include names, titles, and contact information for three references. Questions about the position may also be sent to the same address. Review of applications will begin immediately and will continue until the position is filled. * Does not qualify for J-1 waiver. We are an Affirmative Action, Equal Opportunity Employer Women and Minorities are Encouraged to Apply. All qualified applicants will receive consideration for employment and will not be discriminated against on the basis of disability or their protected veteran status. 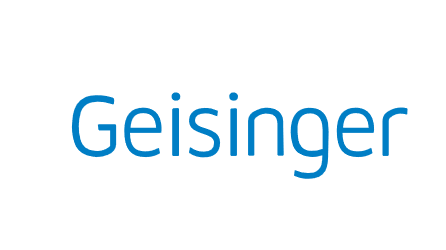 Geisinger seeks Research Director for its Applied Behavioral Insights Team was written on July 24, 2018 and filed in Jobs.